Going into Spring Training, ​the Milwaukee Brewers had one of the deepest, talented bullpens in the MLB. As a result, the signing of another top reliever wasn't urgent for the team. 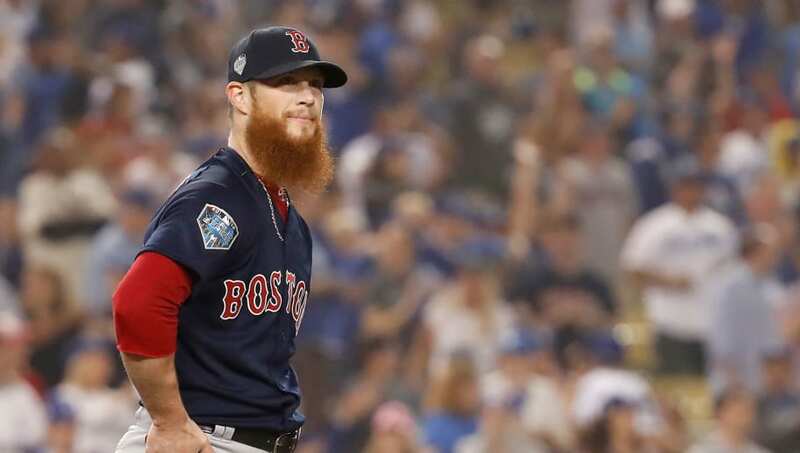 However, now, with injuries to two of their late-game relievers occurring before the start of the season, such a move has perhaps become almost necessary, which is why the Brew Crew need to open up their checkbooks for Craig Kimbrel. The MLB season starts in 10 hours and Dallas Keuchel and Craig Kimbrel remain unemployed. As of right now, the timetable for the return of relievers ​Jeremy Jeffress and Corey Knebel are still unclear, especially with Knebel, who is dealing with a potential significant elbow issue. As a result, manager ​Craig Counsell has had to play around with the bullpen, which could affect the unit's longevity as well as put a strain on the starting rotation. But signing Kimbrel would avoid that. Krimbel has been a tremendous reliever during his career, accumulating 333 saves, 868 strikeouts and a 1.91 ERA. He was also selected to seven All-Star teams and is coming off a World Series victory with the Boston Red Sox. ​​Talks seemingly haven't gotten too serious based on the reports that have surfaced over the last week, but the fact the two sides are having discussions is an encouraging sign for Brewers fans that want their bullpen to be as just as efficient as it was last year.